Win 2 Ultra tickets with Miami beach clean-up! Sam Feldt's Heartfeldt Foundation joins forces with Orca Sound Project, Goldfish and Volunteercleanup.org on Thursday 28th of March 28th between 6PM and 8PM at Collins Park Beach Entrance at 21st Street for a beach clean-up! Dutch electronic music producer Sam Feldt, South African house group Goldfish and sustainability platform Orca Sound Project have joined forces with Miami environmental group Volunteer Clean Up for a very special MMW beach party - with one lucky participant walking away with 2 tickets to Ultra Music Festival and a Solgaard Lifepack Backpack with S3 Solarbank Boombox! Miami Music Week and Ultra Music Festival combine to create one of the biggest celebrations of electronic music in the world. For Goldfish, the Orca Sound Project and Feldt’s Heartfeldt Foundation, it provides the perfect opportunity to come together for a beach clean-up party like no other. Those taking part of the beach clean-up will not only be able to hang out with dance superstars Sam Feldt and Goldfish in person, but also enjoy a one-off pop-up sunset party powered by Soundboks speakers, a unique portable sound system that lets you take the party, quite literally, anywhere. If that wasn’t enough, one lucky attendee will also find out if they’ve won a pair of Ultra Music Festival tickets and a Solgaard Lifepack Backpack with S3 Solarbank Boombox, announced on the sand between 6pm and 7pm! To be a part of this incredible event, visit www.volunteercleanup.org/find and RSVP on the site. Location details will be sent through via email to those accredited. There are limited places on the clean-up making it a strictly first come, first served affair. As well as the chance to win 2 Ultra Music Festival tickets and a Solgaard Lifepack Backpack with S3 Solarbank Boombox, those cleaning up will also be gifted sustainable merchandise including Dopper water bottles which they can fill up at any of the Woosh Water stations located across South Beach. Clean-up materials will be provided and no single-use plastics will be allowed. Trash can be found everywhere, so flexible clothing with that in mind is advised. Participants are encouraged to download the CleanSwell app which will collect data from the clean-up and show the event’s environmental impact. The Heartfeldt Foundation is a non-profit platform that promotes a sustainable lifestyle and a healthier planet by using the reach and influence of ambassadors in the fields of music, sports and entertainment. Using the UN Sustainability Goals and our Give/Do/Inspire/Empower model we strive to develop a program that influencers can use to create awareness around sustainability and work towards a healthier planet. South African duo GoldFish - aka Dominic Peters and David Poole - are world renowned for incredible house productions and blistering shows that incorporate multiple live instrumental performances into tireless house beats. A consistent string of chart-topping hits — and a live show that has seen countless festival appearances from Coachella to Ultra Music Festival to Glastonbury — has helped GoldFish become one of the most enduring and influential groups in live electronic music. Orca Sound Project is a platform for collaboration, consultation and activation. 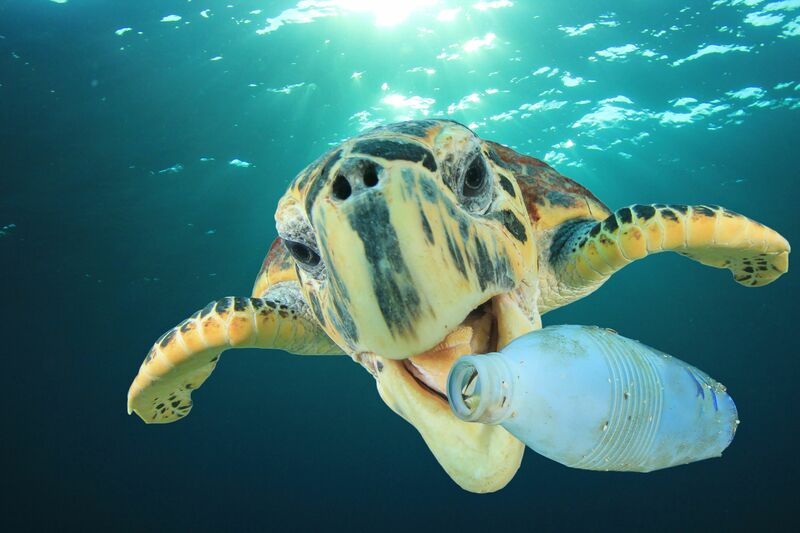 We actively source, collect and treat ocean plastic ready for production. We look for collaborations, working with brands to create product out of ocean plastic, whilst building brand-centric content for heightened visibility. Orca Sound Project subsidises global fisheries to trawl for plastic instead of fish, not only to clear plastic waste from our oceans but also to combat overfishing. Wouldn't it be great if there was a platform where people could build teams, communicate with each other, and organize their own clean-up events? How about a place where a volunteer could find a local cleanup and volunteer a couple hours of their time? How about a place where students or businesses could organize their own folks to clean up a section of their neighborhood - whether in the water, on the coastline, or on land. Welcome to VolunteerCleanup.org. Grab a bag, rally some friends, put on a pair gloves, and go clean up your neighborhood. No one else is going to do it. The internationally renowned festival, which has taken place every March since its inception, celebrated its twentieth anniversary on March 23-25, 2018 by bringing over 165,000 music enthusiasts to the sold out waterfront event in the heart of the City of Miami. Ultra Music Festival® was recently voted the world’s #1 Festival by DJ Mag for the third consecutive year. Event organizers continue to transport the unrivalled experience from the Miami flagship festival to an ever-growing number of destinations and Ultranauts all over the globe. November 2018 saw the announcement of a brand new location for Ultra Music Festival® in Miami 2019, with the decision being made to hold the 3-day event at the Historic Virginia Key Beach Park and Miami Marine Stadium. The ULTRA brand was present in at least TWENTY-EIGHT COUNTRIES across SIX CONTINENTS worldwide by the end of 2018. A design driven, sustainable luxury brand always ready for adventure - Solgaard enhances life on-the-go with premium gear for global citizens, while making a positive impact on the planet. A leader in the use of recycled ocean plastics in their products, founded in 2016 by Canadian-Norwegian entrepreneur, Adrian Solgaard, the brand pulls 5lbs of ocean bound plastic for each item sold. Solgaard is headquartered in New York City. Learn more: www.solgaard.co. Woosh is network of water bottle refill stations changing the pay people drink water on the go by providing ultra-purified, ice cold water at fraction of the cost of disposable plastic bottles and in a more environmentally friendly way. For Miami Music Week, Woosh is offering a $6 water pass for 7 days of water bottle refills at any of their 17 water stations in Miami Beach. The SOUNDBOKS is a Bluetooth speaker designed for the most extreme uses and environments that you can imagine. With a birch cabinet and 40 hr battery, it’s durable and portable enough to take everywhere. And 122 dB through 2x10” drivers mean it’s loud enough to start a party anywhere. SOUNDBOKS began as three high school friends in Denmark. We wanted to break through the noise of Roskilde Festival with the loudest music and the best parties. So we designed and built a speaker that would outlast the wildest nights and take anything our favorite week-long, outdoor festival could throw at it. Since then, we’ve taken the SOUNDBOKS experience to the Sahara Desert, through the jungles of the Amazon and to the top of Kilimanjaro. Today, there are over 25,000 SOUNDBOKS speakers in over 40 countries, and we are on a mission to connect a community that is pushing the possibility of what can happen when awesome people and great music come together in epic locations.